Vatican City (Agenzia Fides) - The Holy Father appointed as Metropolitan Archbishop of Białystok, Poland, Rev. Tadeusz Wojda S.A.C., Under-secretary of the Congregation for the Evangelization of Peoples. The announcement was made on April 12 by Cardinal Fernando Filoni, Prefect of the Congregation for the Evangelization of Peoples, to the superiors and to the staff of the Missionary Dicastery and International Secretariats of the Pontifical Mission Societies during the Easter greetings. Cardinal Filoni stressed the great work carried out by Fr. Wojda in 27 years of service at Propaganda Fide. The newly elected Archbishop pointed out the importance and his awareness of carrying out his missionary work and service to the Church. Rev. Tadeusz Wojda, S.A.C., was born on 29 January1957 in Kowala, (diocese of Kielce). After his high school examinations (1976) he entered the Society of the Catholic Apostolate (Pallottini) and, following his philosophical and theological studies he received priestly ordination for the Society on 8 May 1983, taking responsibility for the missionary animation of the young in the Secretariat for missions of the S.A.C. (1983-1984). 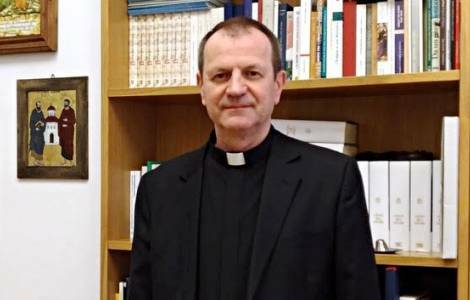 In 1986 he obtained a Licentiate and in 1989 a Doctorate in Missiology from the Pontifical Gregorian University, Rome.